I am listing some of the (Artificial Intelligence) AI Agent Interview Questions. These questions are picked from Chapter 2 of the Russell and Norvig book. When I went through this book, I thought of answering these questions so that it will help others. Answers to these questions are based on my experience working in this domain. Find the following sentences true or false. Justify your answer. (a) An agent that senses only partial information about the state cannot be perfectly rational. Reason: The agent that sense partial information can be a rational agent. Example 1: Let’s take the example of street Cameras installed for surveillance. As expected, the mounted street camera can capture all the images. So, it is a rational agent. Here, the performance measure of the agent is the quality of the images captured. It does not sense other information like a smell. So, with the partial information, Camera is reasonable and sensible to make the good sense of judgment based on the partial information. Hence it is proved, it is not necessary for the perfectly rational agent to sense complete information. Example 2: Let’s take another example of time bucket. Sometimes the performance is measured for a particular time span says for the first T times. So, the agent can neglect everything after T time. Here agent is rational, but it is not sensing complete information. Example 3: The performance is measured for the particular time span, not for complete time. Example, we can set the street signals that only work for the peak time traffic. (b) There exist task environments in which no pure reflex agent can behave rationally. Reason: First of all, we should consider two important percepts – current percept and previous percept. The decision can be taken based on either of two percepts or using both. Here, the Pure agent is an agent which make the decision or react or take the action based on the current percept. Many times, the performance is measured based on the previous percept as well. And memory plays a precise role if you are considering an agent with the previous percept. Example: Let us take the example of playing the chess game. Every next move (action) of the player is based on the player’s and opponents previous moves. (c) There exists a task environment in which every agent is rational. Reason: Suppose there is an environment which has a single state. So, performing any action will result in the same reward. Any environment having a single state and every action with the same result falls under this category. We can create as many as task environment matching to this criterion. (d) The input to an agent program is the same as the input to the agent function. Reason: The input to the agent program and agent function can be different. What is the difference between Agent function and Agent Program? Here we assume, agent function is a pure function that does not have any state or side effects. So, it is clear, the function cannot store the previous data. Every time to execute the agent function, history percept is needed to pass as an input. Whereas, the agent program can have state or side effects. And agent program is assumed to have memory to store the previous percepts. It can keep a record of any history percepts needed to take the action. The input to a program agent is the current percepts. These are some basic AI Agent Interview Questions. Hope you get a clear picture after going through all the answers and justification. If you have any point to discuss, feel free to share your thought in the comment section. 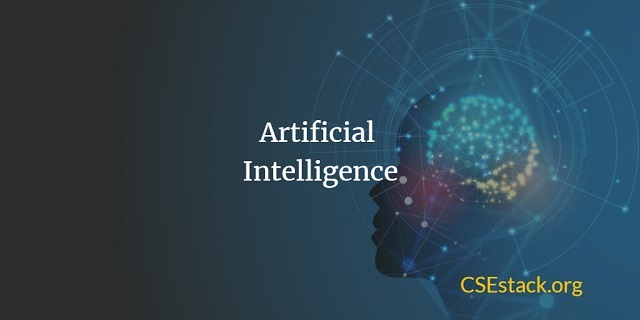 Dispelling The 4 Artificial Intelligence Modern Myths!